Nothing wrong with signing up for a group tour with an international travel company or letting your travel agency at home do the bookings for you. 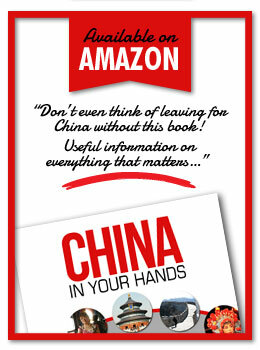 China is big and can be complicated and time-consuming to navigate. But, if you have the time and want to experience China a little further under the surface, you will be smart to contact one of these companies. Some can arrange your whole stay, others are just for shorter programs and trips. Any way, check out their websites, read and be inspired. CCC offers so many great group tours around China, with knowledgeable guides and interesting destinations. I used them every time I travelled with the kids. CCC is used by a lot of expats who know China, so they keep it real, with good prices and authentic itineraries. They also have fun classes in Beijing, where you can learn Chinese massage, cooking, handicraft, Chinese language, philosophy, and so on. 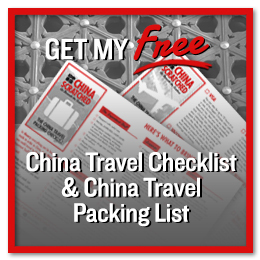 My favorite company for trips out of Beijing (many to The Great Wall) and hikes around China. They organize hiking trips every weekend and some weekdays, with different levels of intensity and length, and you can also book private hikes. The overnight trips can be rough and might not be for the first time visitor to China, unless you don’t mind staying with local farmers on the countryside, getting up at sunrise so you can walk for hours, and eat peanut butter on mantous. I promise you memories for a lifetime. Busses are practical for transportation, but walking around will give you so much more. This company specializes in walking trips around Beijing, through the old neighborhoods, where no tourist bus will ever enter. Local guides know the ins and outs of this labyrinths and can show you the best parts. They also arrange trips to the Great Wall, the historical sights and tea trips. So maybe walking is not for you, but you want to do something special? See Beijing from the side car of the most awesome motorcycles ever. Chose the back seat or the side car, and don’t mind the dusty and polluted Beijing air that will flow through your hair. 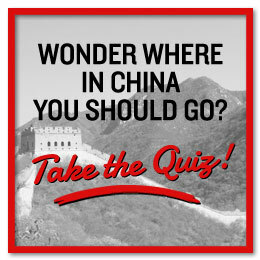 It will be a ride to remember, whether you go for a tour around Beijing or all the way to the Great Wall. Some people love the motorcycles so much they take one with them home. If you love food and want to know more about Chinese cuisine, you should definitively check out what Hias Gourmet can do for you. They organized much of the program for the Cooking in Beijing tour, and my favorite part was the Hutong walking tour. Should be included in every Beijing itinerary! If you are thinking about going to Tibet, or just want to explore the Tibetan areas in Sichuan and Yunnan, you would be stupid not to contact Windhorse in Chengdu for help They are specialized in traveling in this region, and can answer all your questions and help you book your itinerary just like you want it. They can also arrange for volunteer work in panda parks in Sichuan province. That is so on my agenda!